Emptiness isn’t a quality you normally associate with electronic dance music. From the crowd on the associate with electronic dance music. From the crowd on the dancefloor to the weight of the bass, it’s all about fullness, volume, density. 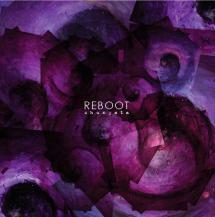 Reboot turns that opposition on its head with his debut album, Shunyata. The title comes from Buddhism and translates loosely as “emptiness.” But not just in the negative sense: it speaks also to impermanence, a state of constant flux. It’s a great description for Reboot’s music, where everything is in constant and kaleidoscopic motion. And it’s also a fitting metaphor for the life of the Frankfurt-based musician, aka Frank Heinrich. In just three years, since his first EPs under the Reboot moniker appeared on Cadenza and Below, he has become one of electronic music’s hottest properties, releasing not only a slew of singles for labels like Cocoon, Love Letters from Oslo, Ricardo Villalobos’ Sei Es Drum and underground cult fave Motivbank, but also a pair of high-profile mix CDs for Cocoon and Cécille. His live sets and DJ sessions have taken him around the world and then some, several times, playing everywhere from mammoth festival stages to the thatched-roof booth at Ibiza’s Ushuaïa. One look at Reboot’s booking schedule, and you can forget about any concept of “emptiness." “Shunyata describes my way of life pretty well,” affirms Heinrich, who just last year left his full-time day job to focus on music. Shunyata might be seen as a response to all that flux. Heinrich took his time with the record, working on musical ideas that extend beyond the limits of a given track. From the sound designs to the grooves to the way the tracks evolve, they all interconnect; intricate polyrhythms wind through the music like ivy, binding the album together. All tracks written & produced by Frank Heinrich for Cadenza Records. Mastered by Rashad @ D&M, Berlin. Published by Cadenza Publishing. (p)&(c) Cadenza Records 2009. All rights reserved. Made in Eu. Distributed by Wordandsound.